Renewable power generation will come to account for a third of the total by 2023, the International Energy Agency said in its latest report on the industry, Renewables 2018. More widely, renewable energy growth will represent 40 percent of overall global energy consumption growth, the authority said. Indeed, bioenergy has a brighter future because it is a lot more widely deployed in heating and transport than solar and wind—something that the IEA partially blames on lack of political support for solar and wind in heating and transport. The authority also sees a major untapped potential in bioenergy from waste as well as from the sugar, ethanol, and cement producing industries. Though not dominant in these two sectors, solar power is the fastest-growing renewable source for electricity generation. Last year, PV installations accounted for more than a third of total renewable electricity generation capacity additions, at 97 GW out of a total 178 GW. Over the next five years, the IEA forecast, solar generation capacity will grow by an impressive 600 GW, to reach 1 TW in 2023. 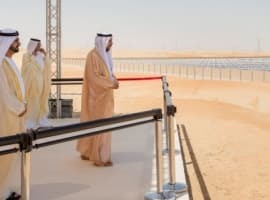 This growth will be higher than the growth in all other renewable electricity generation sources combined, the authority noted. 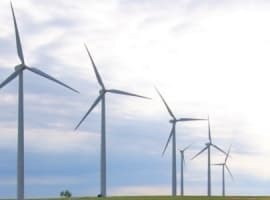 Wind, on the other hand, has been declining in terms of new installations, but it will remain the second-largest driver of total capacity growth, the IEA said, keeping its forecast for new wind capacity additions unchanged from last year’s forecast at 60 percent between 2018 and 2023. Offshore wind will grow the fastest, tripling over the next five years. I wish you would quite calling them renewables. They are intermittent sources that require a great deal of hydrocarbon energy to mine, manufacture, and keep maintained. They do require a fuel source backup such as natural gas turbines for 70% of the time which means they burn gas inefficiently when having to ramp up when the wind isn't blowing and sun not shining. Also they require that the gas turbines to idle when wind is blowing/sun shining. Battery backup is years away and also require mining, manufacturing, and maintenance of hydrocarbon sources. This intermittent thing is really a shell game that is making money on subsidies and unduly hurting the poor and burdening nations through taxation. I am OK with solar roofs because they are a choice for the individual but not subsidized. Let them justify net metering on their own. The main thrust of this article seems to be to call attention to bioenergy. I believe this mostly means ethanol. I think it highly desirable to look for alternatives to burning fossil fuel. While ethanol is a helpful alternative, I find myself wondering about ethanol's NET energy contribution. I would appreciate a thoughtful article that addresses the net gain from using ethanol, after tractor fuel and petrochemical fertilizers and weed killers are subtracted from the gross energy product. I think such and article could also factor in the benefit of using good octanes (ethanol) in your tank, as compared to octane chemical recipes that are hard on clean air and water. I became curious about what modern "bioenergy" means. I found a good discussion on greenfacts.org. Turns out the term mostly applies to the old "biomass" energy source, but with careful harvesting and burning. In touting modern bioenergy, you have to look at the fuel as a total system. How much plant energy are you burning relative to what is growing and taking in CO2 as part of the growth process? Also, how efficiently is harvested biomass burned? Interesting that wood burning is once again prominently on the world stage in connection with the climate change issue. Diesel and fertilizer will still be used on corn regardless what the corn is used for. Better to get some fuel ethanol out of the corn instead of none at all. Maybe we can get some help from a chemist (that's not me). I've been thinking that the human- food part of corn -- what's in the husk -- is made into ethanol. We can either eat that part of corn, or put it into our fuel tank. The rest of corn can be made into methanol -- wood alcohol -- if its economic to do so, which it generally isn't. It's not like we're rerouting otherwise wasted biomass when we make ethanol. So, i suspect that the use of food-corn for fuel is based quite a bit on politics -- getting the vote of farmers. But ethanol seems to genuinely have the added value of promoting a smooth burn, making it desirable for blending it in with gasoline distillate. I suppose the ethanol-for-fuel controversy will continue. The latest is that our President is throwing his weight behind burning corn ethanol, and not just getting corn caught between your teeth. Except for geothermal and nuclear virtually all energy used today is derived from solar. Buried hydrocarbons like oil & coal are derived from bioenergy. All of these are solar energy converted directly to solid form through photosynthesis. All of this &quot;bioenergy&quot; is comprised of hydrogen and carbon captured from the atmosphere. A cyclical process exists that continuously recycles the carbon and hydrogen from the atmosphere to plants and back to the atmosphere. Biomass is stored solar energy. 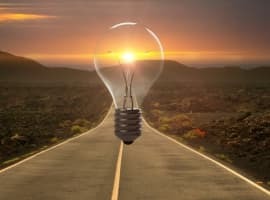 The technology exists to reliably and efficiently convert this solar energy into &quot;drop-in&quot; renewable energy fuels such as synthetic natural gas ( a seeming oxymoron), diesel, gasoline, methanol (and others). All of these are significantly better fuels than ethanol. There is a critical place in the energy spectrum for solar PV, thermal solar, wind, wave, and all the rest, of course. At the same time, we can create this never-ending carbon loop of liquid hydrocarbon fuels that are, from an atmospheric perspective, carbon neutral or even carbon negative. And we can do that, because the fuels are identical to those in use today, with little to no disruption to the existing fuel distribution/delivery infrastructure or with a necessity for major refit or redesign of IC engines already in use. There are issues with biomass and other organic carbon feedstock volume(s) that must be addressed, but by adding-in readily available forest and land management principals along with aquatics such as seaweed and algae there is a, more than significant, volume of synthetic fuel potential that can be tapped.